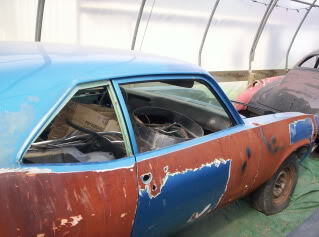 Holley received this 1968 Nova from her dad, promising that they would work on it together as it progressed. Although it's been slow going, as she has been busy with school among other things, she hopes to work on it even more this summer. Her plan is for it to be used for both Street and strip as she was able to drive the 1967 C10 we used to have down the track a couple of summers and can't get enough.